A specialty of Okayama, 'Demikatsu-don' has pork cutlet on rice with demi-glace sauce. Nomura is famous as its birthplace. The thick, rich and sweet sauce is excellent with the crisp cutlet. I have no doubt that it's a delicious local specialty food in Okayama.◎It's called also as 'Domikatsu'. 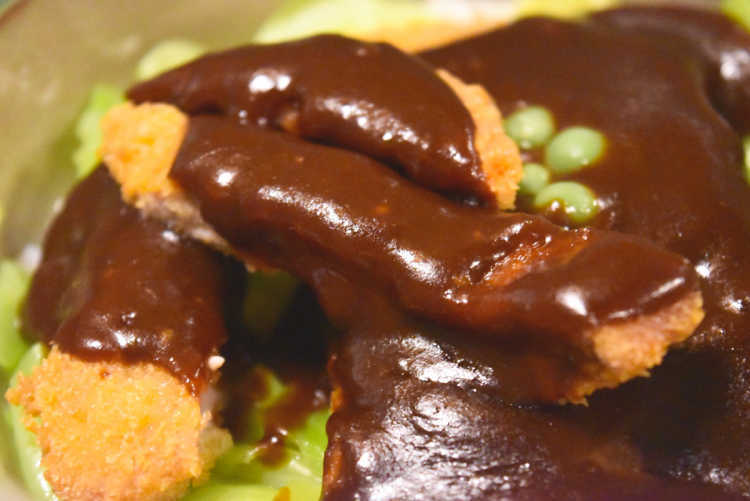 A specialty Demi-glace sauce cutlet on rice 800 yen.